What you need. Right now. We act quickly when you need an important spare part to move on. That's why Scantruck A/S offers speedy delivery of original spare parts. We have more than 20,000 spare parts in stock and most can be with us or you within 24 hours. Our spare parts warehouses in Skive and Ringsted are dressed for the job. 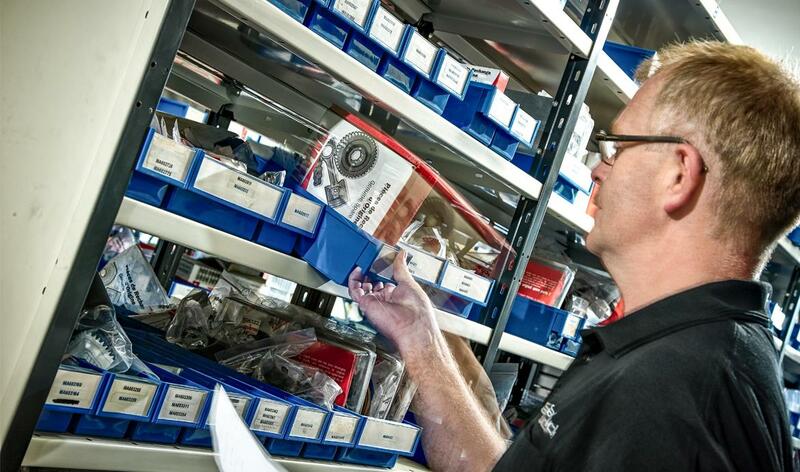 Our experienced spare parts assistants quickly find the machine part you need. With our efficient machine knowledge and equally efficient internal logistics you will soon have the proper spare parts. As professionals, we are working with every part of the machine. It takes great professional knowledge to know which machine part is required in each situation. That's why Scantruck A/S is training its service technicians, mechanics, spare parts assistants and account managers. "OEM spare parts are definitely the right choice in the long run. Non-original spare parts may be a little cheaper but unfortunately, they often result in wear and damage to the machine. This is expensive when all comes to all".